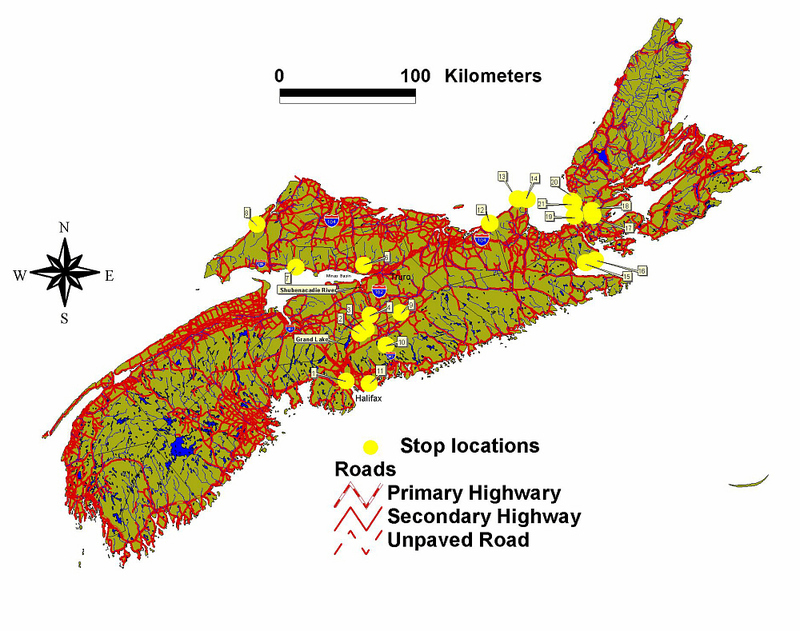 Route map of Nova Scotia with place names and stop locations. 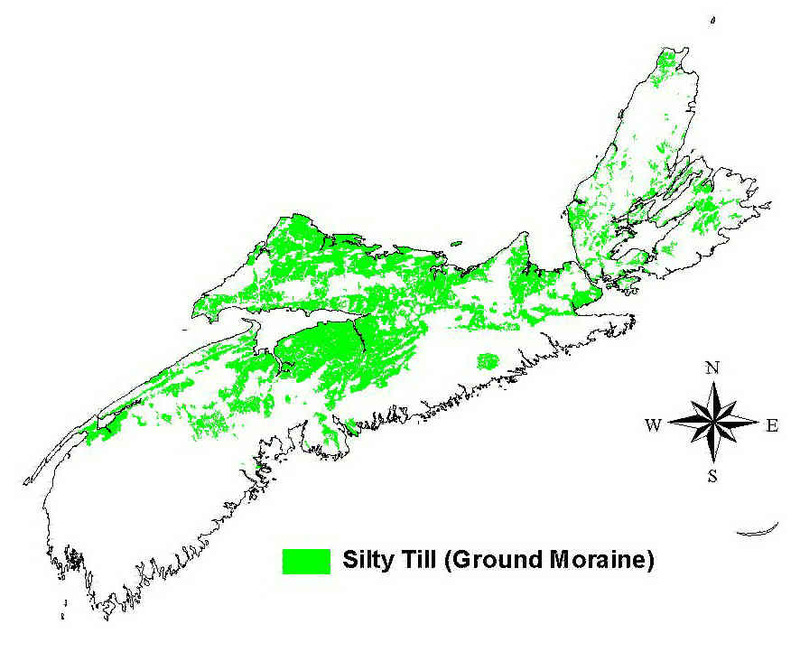 Digital elevation model (DEM) image derived from 1:50,000 contours provided by the Nova Scotia Geomatics Centre. 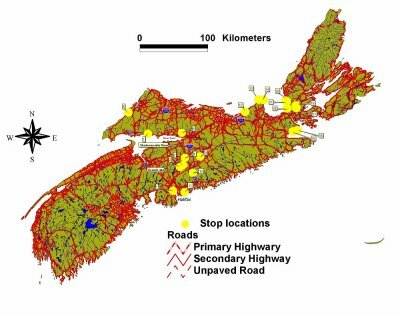 DEM image construction by Tim Webster, David Colville and Don Raymond, Nova Scotia Centre of Geographic Sciences (COGS), part of the Nova Scotia Community College network. 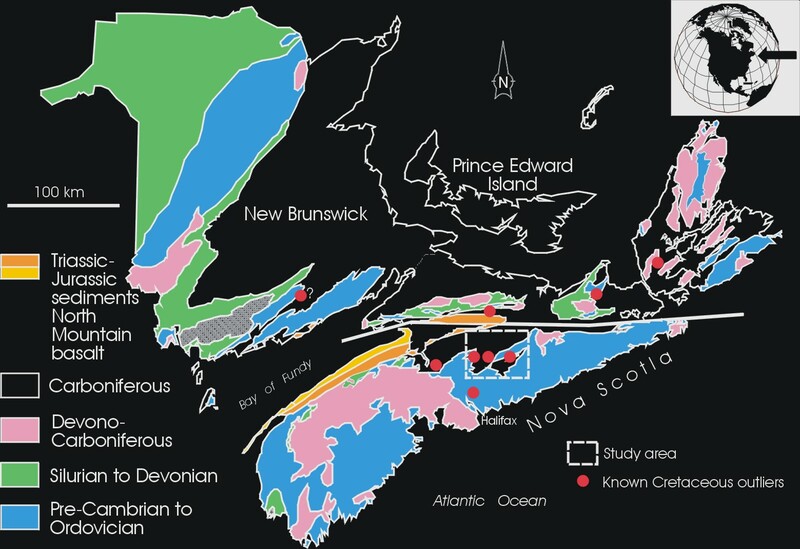 Map of stony till plain deposits, which cover upland areas of the province and regions underlain by hard Pre-Cambrian and Paleozoic rocks. 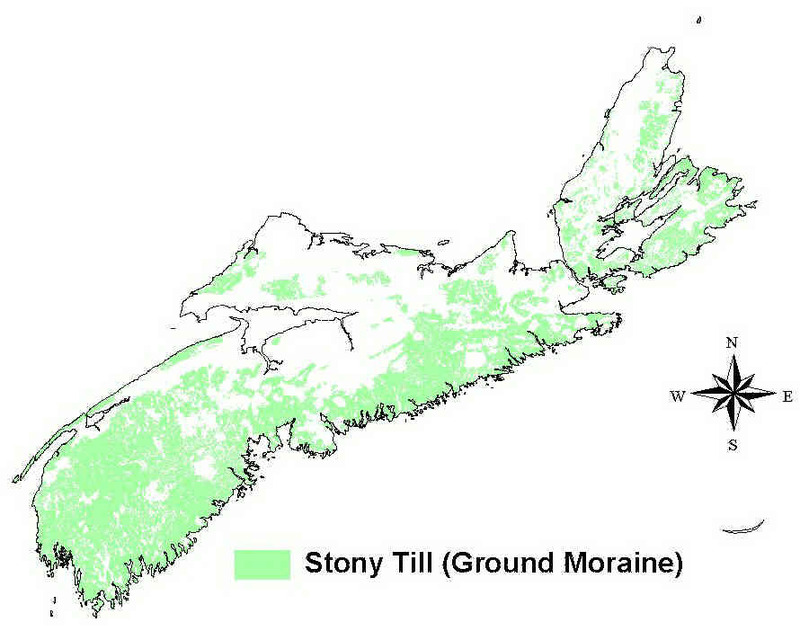 These tills formed under the local ice caps that were prevalent in Nova Scotia during the ice age and are characterized by a loose texture, sandy matrix, and abundant, locally derived, angular stones and boulders. 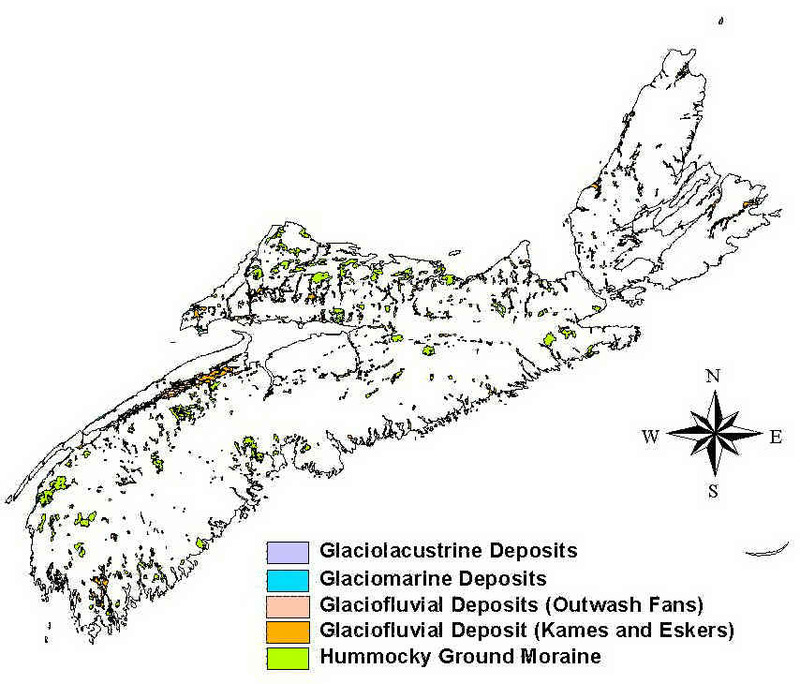 Click here for a picture of these deposits. 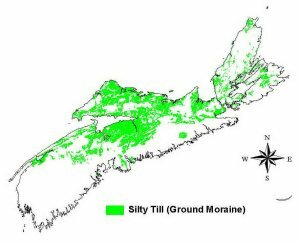 Map of silty till plain deposits, which cover large areas of the lowland regions of Nova Scotia. 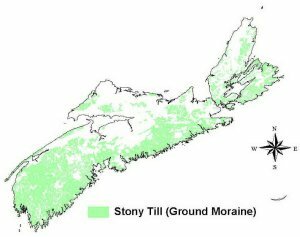 These tills are characterized by a reddish colour and a fine-grained silty clay matrix. 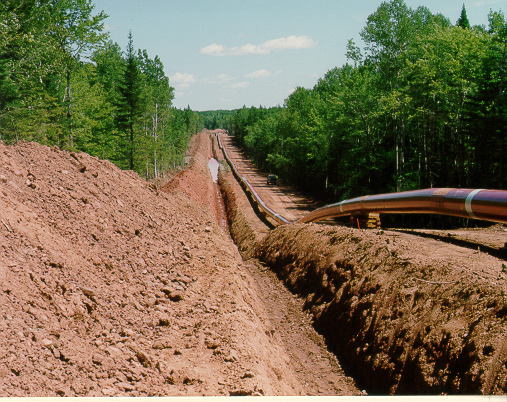 Click here for a look at these deposits. 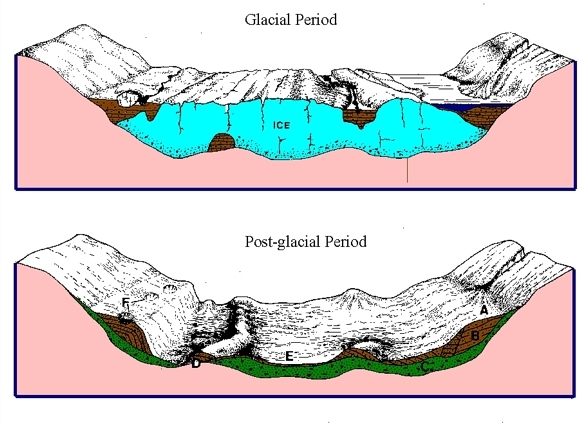 Drumlins are streamlined elongate hills that are oriented parallel to the flow of the glacier that formed them. 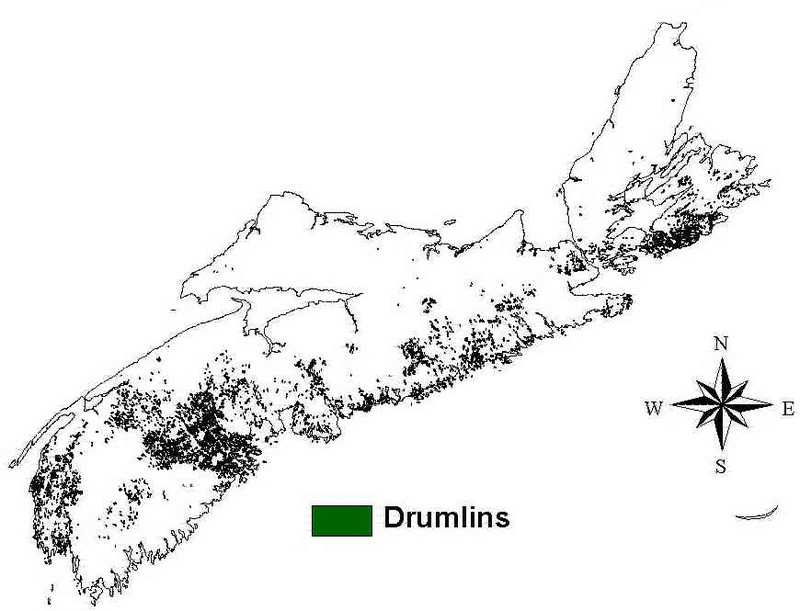 They are found by the thousands in clusters called drumlin "fields" which form a unique landform type. They are made up of a reddish silty till. 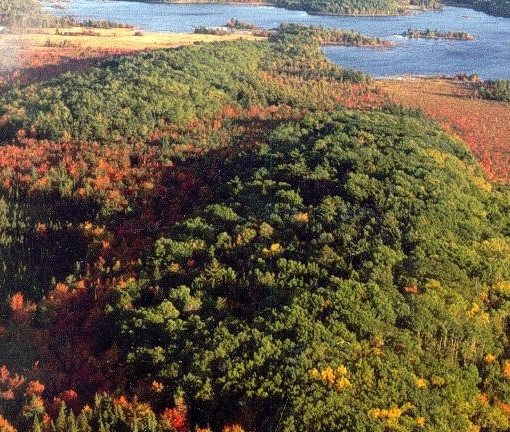 Click here for an aerial view of a drumlin field. 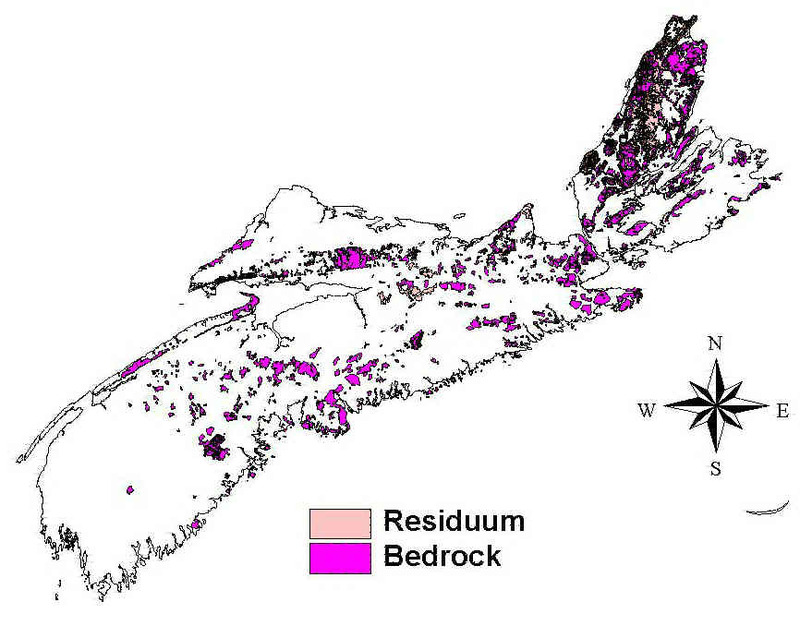 A map of the bedrock and residuum areas of the province. 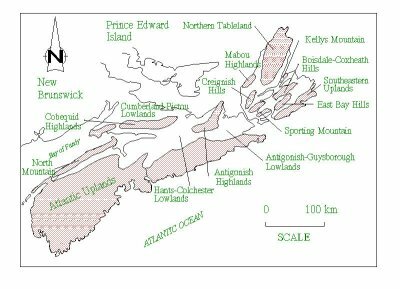 These areas are characterized by bedrock outcrop at or near the surface. 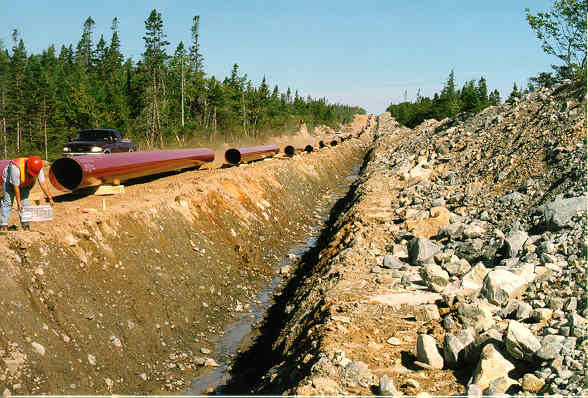 Residuum is bedrock that has been mechanically and chemically altered to become soft and unconsolidated. 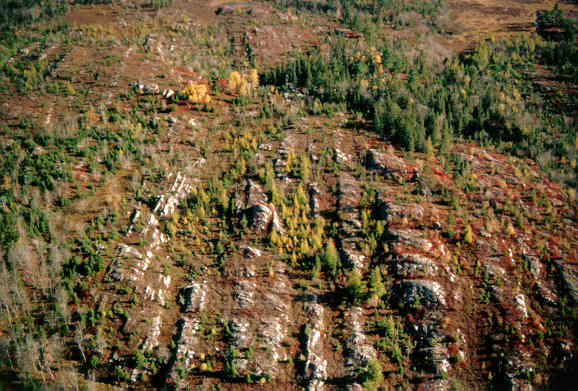 Click here for a typical example of bedrock country. 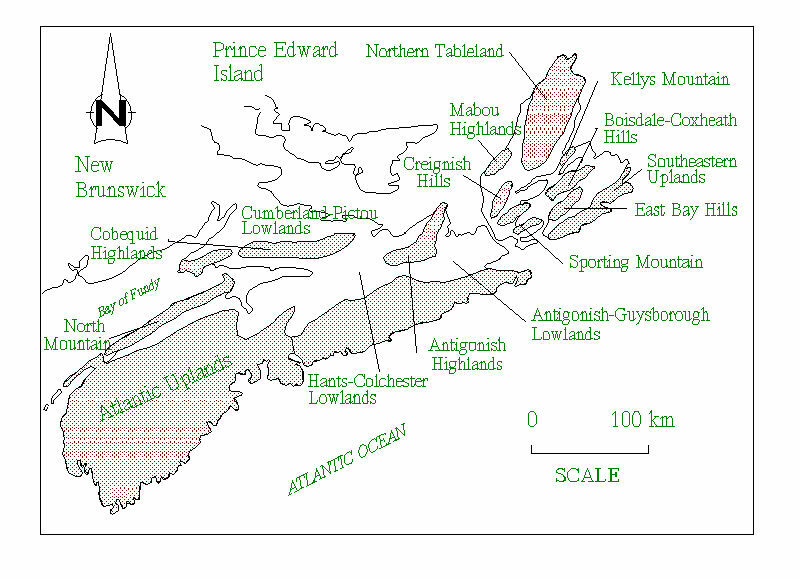 Links Page: other web sites on the landscapes and glacial geology of Nova Scotia.